Caroline, or Change is the Olivier award-winning musical written by Tony Kushner with music by Jeanine Tesori. 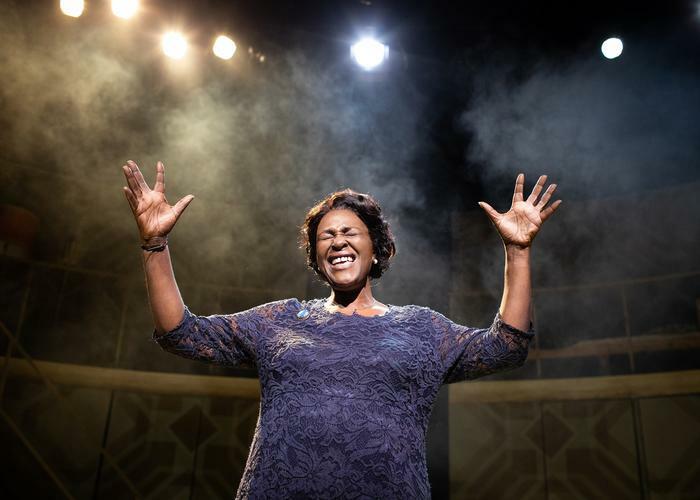 Transferring from sell-out runs at the Chichester Festival and Hampstead Theatres, it stars Sharon D. Clarke. On the background of Kennedy's assassination, Caroline, black maid to a Jewish family in Louisiana, is struggling to keep it all together, financially and emotionally, in her household and the household where she works. Noah (an excellent Aaron Gelkoff), the 8 year old son of the family she works for, is trying to make sense of things after his mother's death and his father's remarriage and looks to Caroline. Caroline works in the basement of the flat, doing laundries and ironing every day. The idea of the domestic appliances being animated is quite brilliant. It reflects the loneliness of the woman and her relationship with those appliances, which, for her, are like friends. Unfortunately, this show has a few problems: the songs – despite the virtuosity in encapsulating different musical styles in one, they end up sounding pretty much the same and failed any emotional impact on me. This is perhaps to blame on the confusing nature of the genre and style of Caroline, or Change: it is a musical, but the density and musical quality of its numbers very easily make them sound and feel like some kind of strange contemporary opera. It is an interesting, but confusing and somehow overly virtuosic and eclectic hybrid. Then the story: the show wants to talk about cultures, differences, religion, segregation and acceptance, but it doesn't explore any of them. The background of the family, especially the father, mother and grandparents, is uncertain. There is a lack of explanation and the audience is left on its own when trying to enter the historical and social context of the world of these characters. There are clues here and there that suggest a specific time and political climate in America- but they are not enough. All this makes very difficult to empathize with them – except for the children maybe. 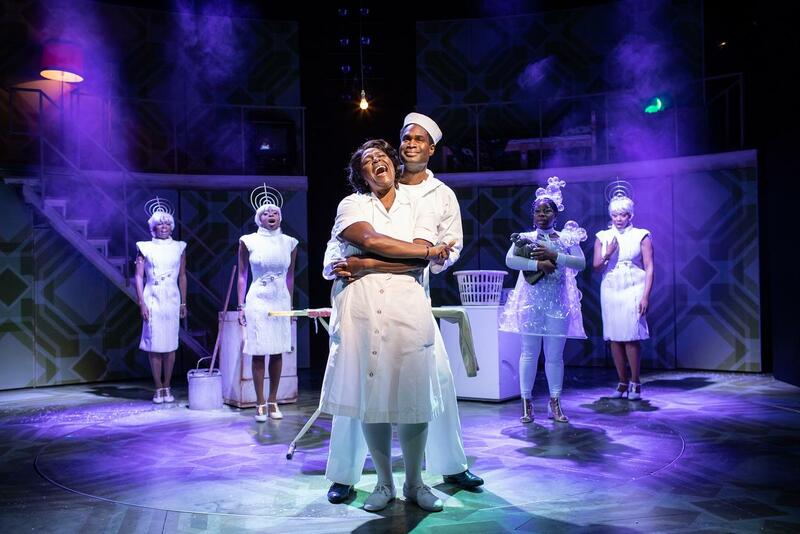 Caroline, or change is a heavy, static and structurally odd piece, with its focus on the characters and music trying to overcompensate for flawed plot. On the other hand, the cast is very talented and do their best to deliver their stories. But is this enough?